This lamp post is strategically mounted along the Lekki-Epe Expressway and has high visibility from both vehicular and pedestrian traffic. It is very good for reinforcing brand recall and fosters brand awareness due to the proximity of the poles to one another. 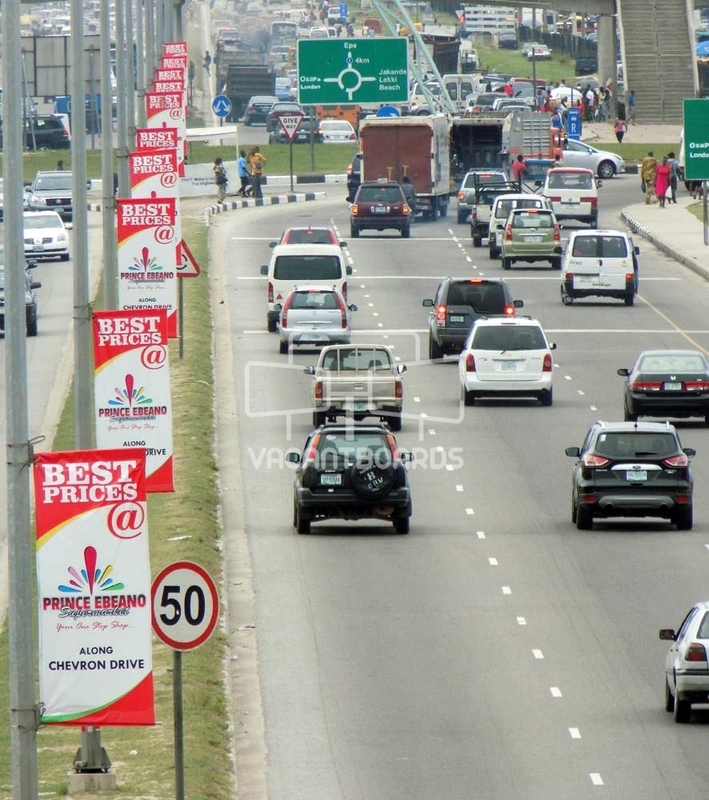 This lamp post is strategically mounted along the Lekki – Epe Expressway and has high visibility from both vehicular and pedestrian traffic. It is very good for reinforcing brand recall and fosters brand awareness due to the proximity of the poles to one another.